As A Graduate with Honors From UNC-CHAPEL Hill- Beth Hines is No Stranger To Hard Work. She Has A PROVEN TRACK RECORD for SUCCESS. Beth Worked As A Registered Nurse For Many Years and After the Birth Of Her Children Decided to Focus Her Interests Toward Real Estate-At the Time for a More Flexible Schedule. With Her Tremendous Work Ethic and Desire to Please; She quickly became One of the Carolina's Top RE/MAX AGENTS. 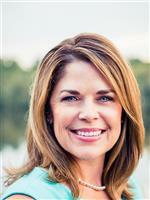 Beth Has Been Selling Real Estate with RE/MAX Full Time Since 1998. From 2005 until Present -She has been One of the TOP 10 Individual RE/MAX Agents in all of North Carolina Every Year. Last Year-2014-Beth Earned #2 Individual Agent for North Carolina. Being Inducted into the RE/MAX Hall OF FAME and Receiving RE/MAX's Prestigious LIFETIME ACHEIVEMENT AWARD are just a couple of Beth's Accomplishments. Beth is always working to learn new technology and marketing techniques to get her homes sold quickly.